It has finally come to the time where i have decided to start my own series of lifestyle posts. 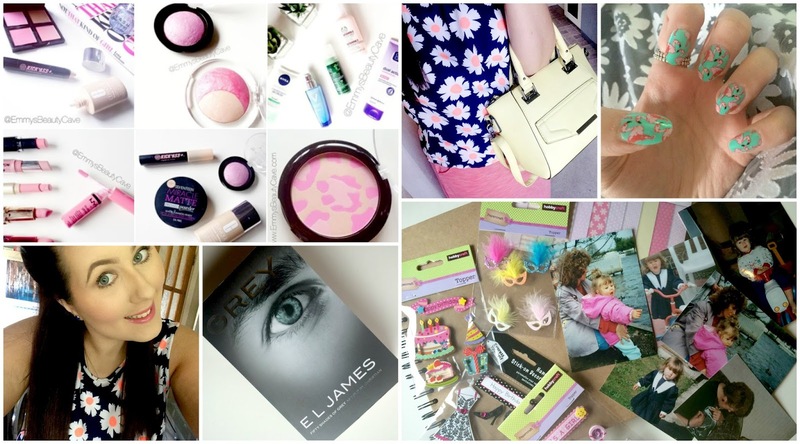 I am getting a little bored of just doing beauty posts and wanted to mix it up a little. For those of you who don't know i am currently off work sick awaiting my second knee operation which will be in August. I have been off work for a long time and will be probably until after Christmas so i have been finding new things to keep me occupied. Going through old photos i have decided to make a scrapbook of my life. I am excited to decorate the book and make something i can keep forever. Saturday night was date night. Me and my boyfriend went to Frankie & Bennys which was gorgeous. I have a huge sweet tooth and the deserts at F&B are just so yummy! We then went to the cinema to watch the new Jurassic Film and it was amazing. After everyone raving about it i am glad i went to watch it. I was not a fan of the old Jurassic Films but i loved this one! As above you can see my grey/lilac top which i wore, it is super comfy and looks gorgeous. I got this from Boohoo. Thursday i was at the hospital again and i was very nervous as i didn't know what the outcome would be. Before we went, me and my mum stopped off at Nando's for some lunch. She has got me hooked on the halloumi cheese! On Thursday i finally got told i would be having my second knee operation hopefully in August. It will be a big operation having screws put into my knee etc...I will be off work for probably another 6 months :( I will be doing a post to explain more about this and how it will effect me blogging. I recently wanted a new Summer handbag, something bright. I saw this yellow tote bag in New Look and fell in love! It is a gorgeous banana coloured bag perfect for summer. I also got the new "50 Shades Book" which i cannot wait to read as i loved all of the others. I usually do my own gel nails but lately i am loosing the patience from being in pain all the time so i picked up these cute flamingo nails from boots which i am really loving! 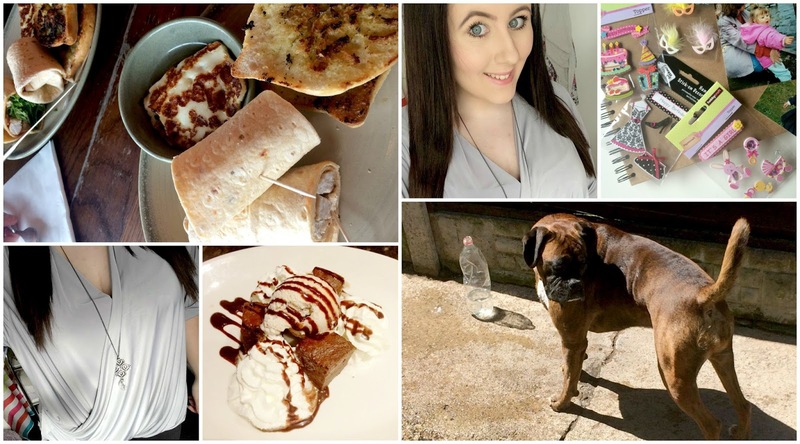 Hope you enjoyed my first ever lifestyle post and i hope to be doing these more often! Don't forget to follow me on my instagram shown above! You've had a pretty eventful week, all I done was go to school haha, the tote bag is so pretty and the colour is perfect for this season! It's so nice of you to share this happening in your life. Though I can feel what's you're going through with your knees, I hope all gets better soon. Great post... I love the lifestyle posts! My prayers go out to ya with your knee operation. I know you are probably scared. I love scrapbooking and even love to scrapbook buliten boards to make them look more neat and less random! Keep us updated on how yours goes! Great post, just posted a similar post up on my blog! Scrapbooking is a great way to keep yourself busy, I love it so much! Hope you're not getting too much grief from your knee. I love the idea of a scrapbook. So good for keepsake and fun to create too! I hope the op goes well! I hope your knee gets better and the operation goes well! You've also gotten me so hungry with F&B and Nandos haha. I also want to see your scrapbook when you've got some done, mainly because I'm the nosiest person and I'm loving scrapbooking this year! !